A friend of mine is always bothering me about legs Lol... he wants to draw (practice) legs.... anatomy... i would like something useful pics about real anatomy or cartoon type, because google is already out of legs. Google out on legs?! You gotta be kidding me!!! Look in the libary for human books/ health books. Remember that the bones are very important when defining how the leg looks. When standing straight the shin bone curves outwards but looks straighter due to the size of the calf muscle. 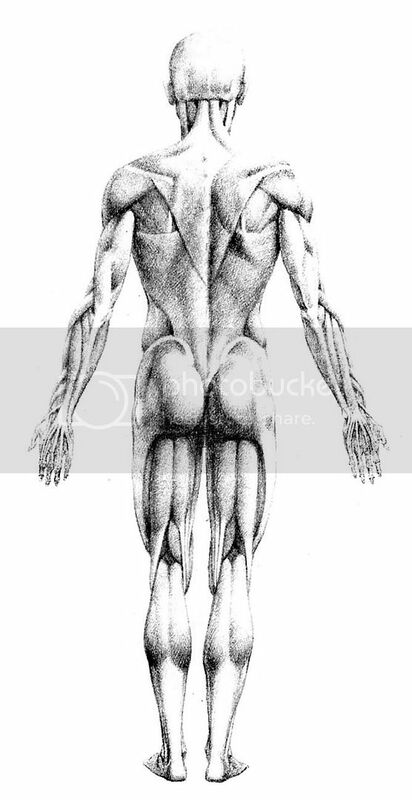 Here is a dispicably crude paint image- red is basic bone structure, green is major muscles. A lot of gothic manga artists just draw their characters'legs like sticks. Not really like wooden pegs, but I mean there's no real anatomy. You can make your art appealing with that way, too. As for legs, these may help. They may be jsut plain anatomy refs, but the leg muscles are still there. PS: this is in the wrong section. Last edited by Makkon : 06-24-2006 at 02:06 PM.